Buffalo Trailers manufacture an extensive range of bespoke or off the shelf trailers from small 5’x3’ trailers up to 3500kg capacity trailers. 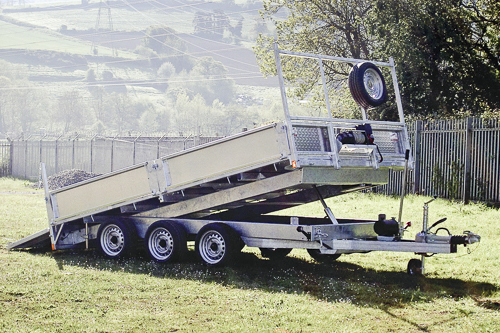 ​Each trailer is designed with a specific purpose in mind, enabling us to offer a variety of styles and sizes that covers a wide range of applications. Buffalo Trailers was established in 1997. It is a family run business and we offer a friendly, personal and honest service to all our customers. We provide a full build service that can design and manufacture each trailer to suit your individual needs. Take a look at our Bespoke page to see what we've already done. We can service or repair any make of trailer and carry out any modifications required. We fit new axles, floors, couplings, lights, including upgrading to LED. 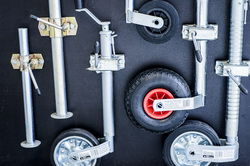 We stock a comprehensive range of trailer spares for all makes of trailers including axles, wheels, couplings, jockey wheels, lights, LED light conversions, flooring and security devices. 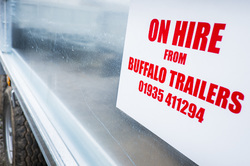 Buffalo have a wide range of trailers available for hire on short or long term contracts. Please contact us for trailer availability and request a competitive quote.